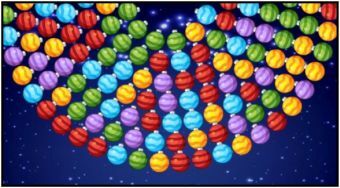 Do you like Orbiting Xmas Balls? Share it with your friends. Fire the Christmas decorations onto the groups of decorations of the same color turning in the night sky and try to remove them all before the time is out.